Bachelor of Civil Engineering (B.E.) fromL.D.College of Engineering ,was affiliated with Gujarat University (GU), Gujarat, India, with 69.72% (Distinction). 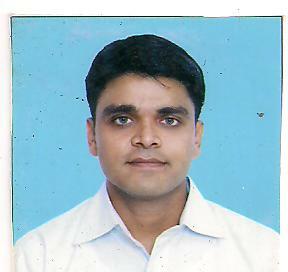 Currently working as an Assistant Professor at Government Engineering College - Gandhinagar since May'2011. to till date. 4. CEP course on Piping Engineering ( online training ) Decmber’2013- March ‘2014 Indian Institute of Technology Bombay( IITB) CE& QIP. (two week) at NITTTR ,A’bad. (two week) At Nirma university conducted by IITB (MHRD). 7 Workshop on Research Methodology 27-31 October’2015 (one week ) at Indian Institute of Technology Gandhinagar ( IITGN). 8 STTP on mathematical tools and techniques for Engineering research 30may - 3 june 2016 ( one week ) at GEC gnagar. 9 STTP on Recent Trends In Engineering & Technology and its Impacts on Academic Reforms 19 dec – 30 dec 2016 ( two week ) at GEC gnagar. 10.One day workshop on ' Self Compacting Concrete' organised under IEI student chapter at VGEC, Chandkheda on 17 feb 2018.